Item arrives with a small jewelry bag Condition :100% brand new Material: Stainless Steel Weight:about3g Brand Unbranded Style Pendant Theme Holiday Metal Stainless Steel Metal Purity Unknown Main Stone No Stone Color Black Length (inches) 22 UPC Does not apply MPN Does not apply. 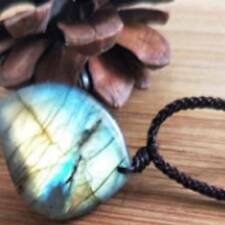 Material:Natural Labradorite. Nice accessories to integrate jewelry case for girls and collectors. Color:as Picture show. Wonderful gift for you and your female friends. Fasterns with bolt clasp. Pendant: 2.5cm(L) x 1.4cm(W). Chain: 450mm total length/17.7". Nice decorated box for gift giving. Falls perfectly around the base of the neck like a collar. Fits most like a choker. • Rope chain. Common with pearl strands and will hang below the bosom. 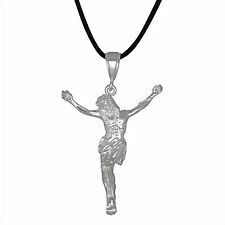 • Pendant: natural stone /0.89oz. 14" NECKLACE. Buy 2 Get 3 Free! US Seller, Free Shipping! HOT SALE! 1Pc Necklace. Color: Gold. By buying from us we consider you have understood and accepted all of our policies. 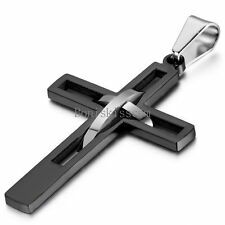 Item arrives with a small jewelry bag Condition :100% brand new Material: Stainless Steel Color:black Weight:24g Brand Unbranded Style Pendant Theme Holiday Metal Stainless Steel Metal Purity Unknown Main Stone No Stone Color Black Length (inches) 27 UPC Does not apply MPN Does not apply. Lucky Blessing Beads Pendant Necklace Natural Black Obsidian Hand Carved Dragon. Black Natural Lucky Blessing Pendant Necklace Obsidian Hand Carved Bodhisattva. 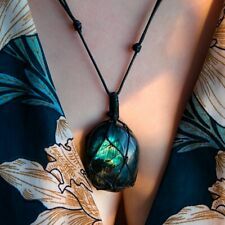 Natural Black Obsidian Hand Carved Dragon Lucky Blessing Beads Pendant Necklace. It uses a lobster clasp. Its a very durable high quality necklace of 30 mils white and yellow gold thickly bonded on solid jewelers brass. Its finished with a high polished mirror shine to protect it and has the smooth tones that look great sparkling in the sun! 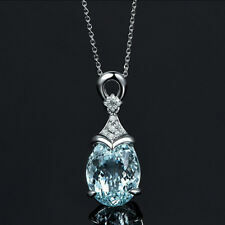 The stones are lab created CZ that sparkle like the real thing. Size - 4 mm X 18" Stoned Tennis Chain. If not reported, we will not issue credit. Top - Made of High and Top Plating. Price - 100% Factory Direct & Lowest price. Necklace size 18" Choker size 15" Extender 2" Pendant size 1/2" x 3/4". Womens The Little Mermaid's Teardrop Glow in Dark Pendant Necklace Jewelry Gift. 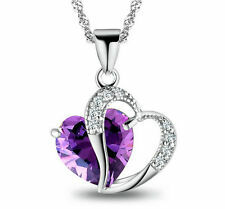 Package Included:1 x Womens Pendent Necklace. Necklace Length:49cm / 19.29. Obsidian color may be circular, it is possible that the cat\'s eye shape. 1PC necklace. Could be purple, it is possible that the green, it is possible that a variety of color mix. Falls perfectly around the base of the neck like a collar. Fits most like a choker. • Rope chain. Common with pearl strands and will hang below the bosom. 14" NECKLACE. 16" NECKLACE. 18" NECKLACE. 20" NECKLACE. Elephant pendant and chain are made of genuine 925 Sterling Silver. Includes 18" 925 Sterling Silver cable chain with spring ring clasp. Stamped 925. Necklace Details Arrives in a gift box. Chain:17.7"/450mm. 18Kwhite gold over silver. Swarovski Crystal.